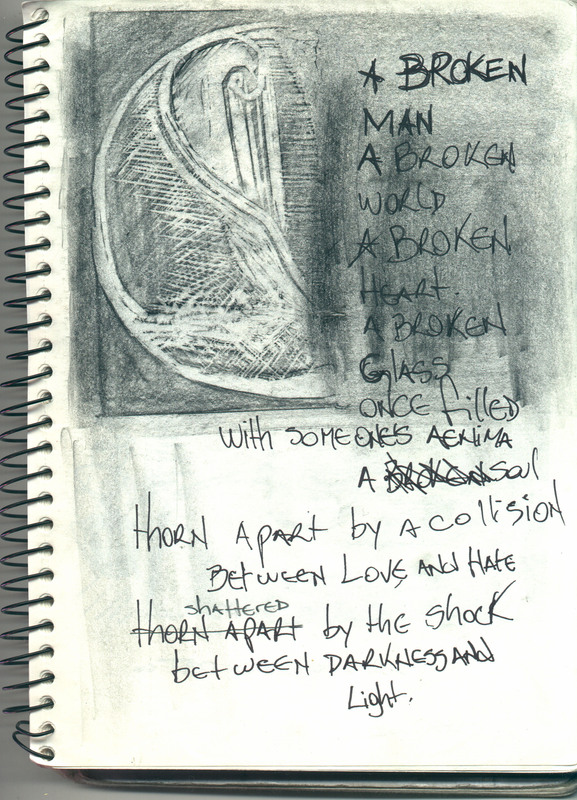 This is another scan from a 2003 sketch book. The Wrap was an engraving made in Linoleum (Rubber) and i Transferred it to the sketchbook using an integral pencil. It depicted a sphere like shallow object being unravelled like a sheet of piece of cloth. I quite remember the significance of this vision to me by the time, the meaning of unveiling things hidden behind shells we all build in order to protect ourselves. Probably from ourselves.